Christmas in July – is it is a sales tactic? Sure it is, but who does not like sales? When it comes to kitschy Christmas trees I’m all about the sales. I work for Treetopia and get my yellow, pink, white, black, gold, green and candy corn trees for free BUT you could get yours for 50% off. Did I mention orange trees? Yup amazing for Christmas, fall, Halloween and of course Valentine’s Day. 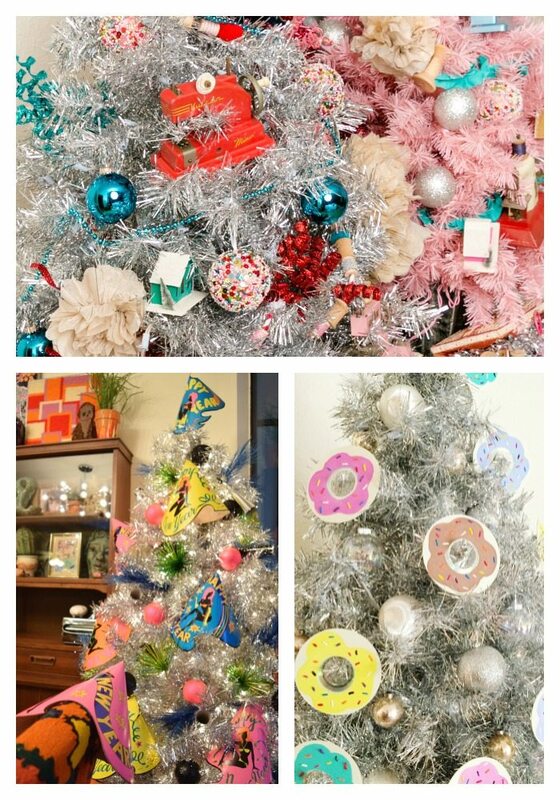 I’ve always lamented not getting my grandmother’s silver tinsel tree. That hole in my Christmas tree loving heart was filled with this silver sparkler that I’ve decorated for National Donut Day, New Years Eve and a Sewing Themed Christmas. 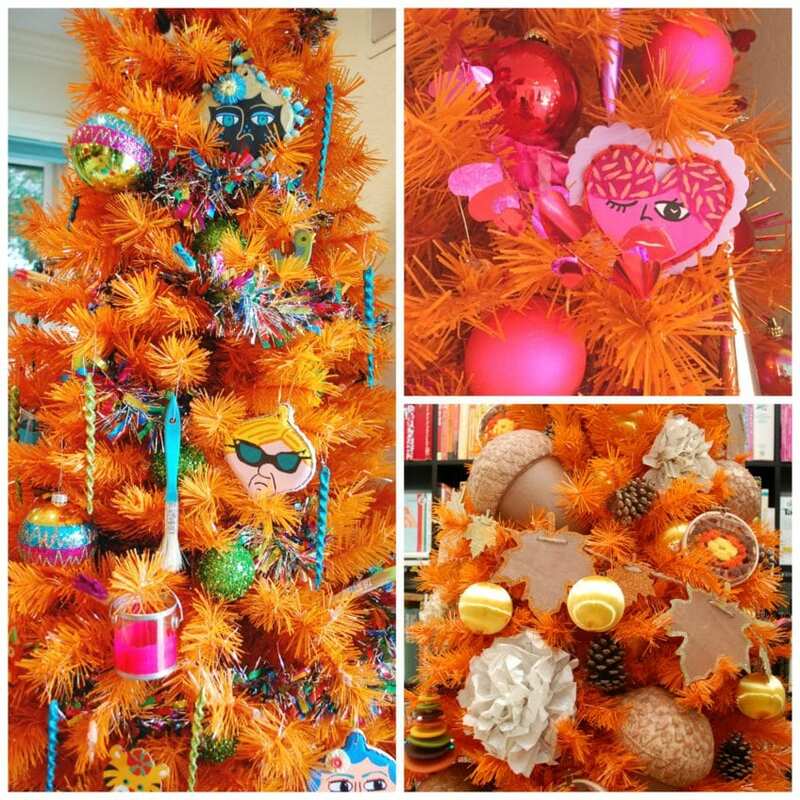 Over on the Treetopia blog I’m sharing different trees weekly that are on super sale and talking about the different ways you can decorate them. Halloween is right around the corner and I had like 10 Halloween Trees last year. 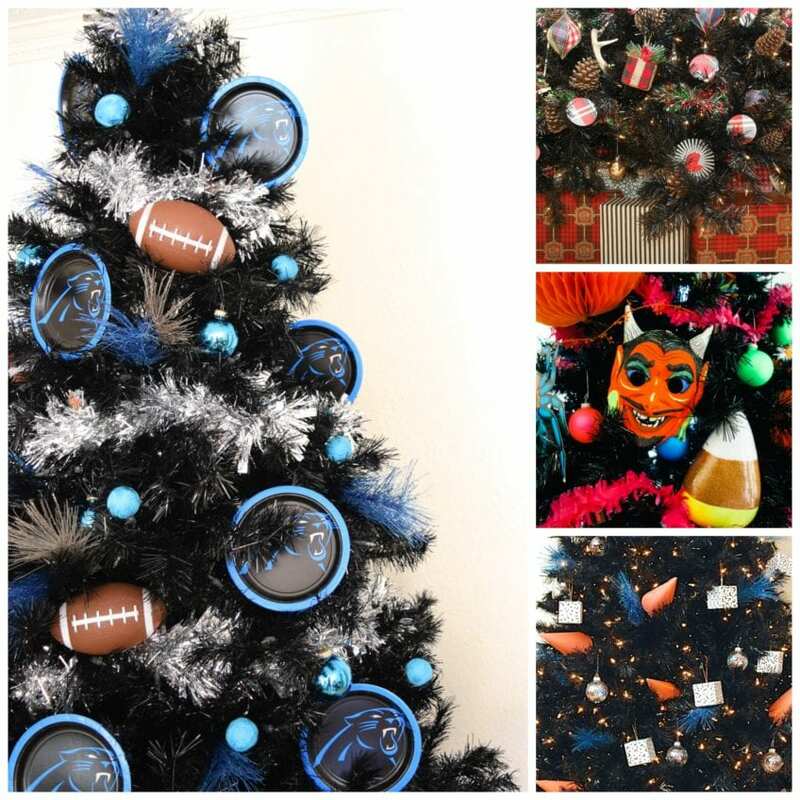 Believe it or not black trees are also adorable at Christmas whether you go traditional with plaid or modern with Memphis. Comes in handy for Superbowl too. 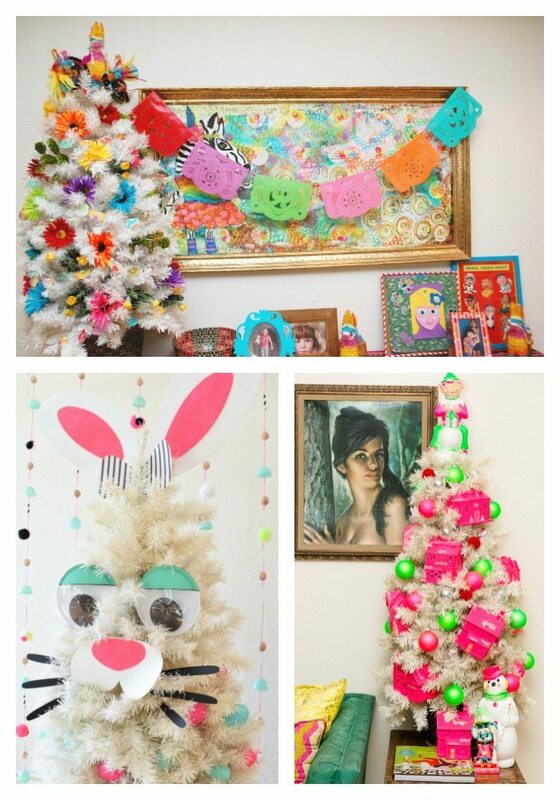 Head over to the Treetopia Blog and follow along with my Christmas in July posts all month long. Leave a comment, tell them I sent you, spread the 50% off gospel to your friends. Man they should really give me affiliate links, I need to ask about that 😉 I digress, Happy Christmas in July! Posted July 19, 2016 & filed under Christmas, Holidays. Okay you know your stuff about Treetopia Christmas trees so here is my question. I am about to push the button to buy the Alexander Fir 9 ft clear and multi LED lit tree and the larger than life storage bag…..my husband is already ready to kill me for my Christmas spending, but I REALLY want that tree! Can I get the same or a better deal on it in July?